Beautiful homes on a beautiful golf course. That about sums up the Mansion Ridge homes for sale in the community of Monroe, New York. Construction began in this development in the early 2000's and you'll find a mix of mid-priced single family and townhomes here. The single family homes are set in lots of up to an acre and the townhomes also enjoy significant outdoor space and of course, they all have great views over the Jack Nicklaus designed Mansion Ridge Golf Course and the mountains beyond. 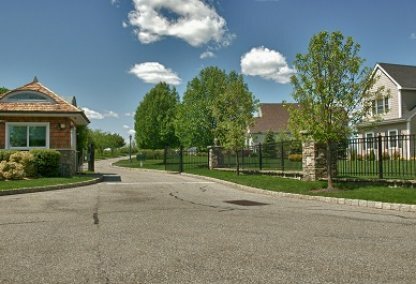 Mansion Ridge real estate includes both single-family and townhouse style homes, situated in a gated community. The single-family homes are typically over 3000 square feet with 3 or 4 bedrooms. Interior design features include soaring ceilings, crown moldings, and hardwood flooring. Gourmet kitchens are guaranteed, with features like double ovens, Sub Zero Refrigerators and granite counters. 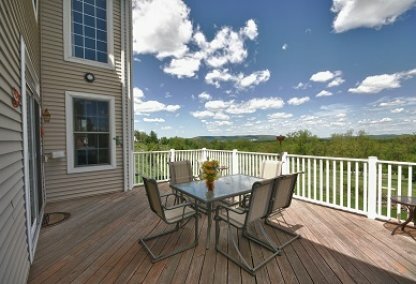 Outside you'll enjoy the spacious decks overlooking the fairway. Community amenities include a pool and a clubhouse. If it's a townhome you're interested in you'll find more information and listings on our dedicated Mansion Ridge Townhomes page. As well as golfers Mansion Ridge homes are ideal for outdoor enthusiasts, given their proximity to Monroe's four lakes (340-acre Mombasha Lake is just five minutes away), as well as Harriman and Bear Mountain State Parks. The neighborhood is close to the Metro-North Station at Harriman and is less than 40 miles from the George Washington Bridge. Local shopping options couldn't be better with the famous Woodbury Common Premium Outlets just minutes away. The local schools are the excellent Monroe-Woodbury High School and Middle School and Pine Ridge and Sapphire Elementary Schools.